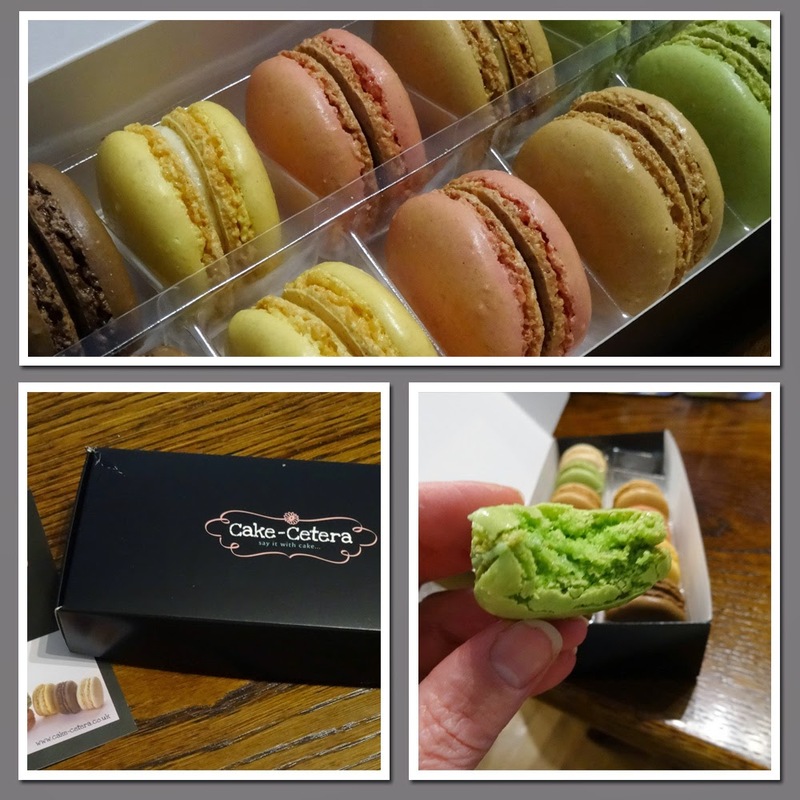 It's time to share with you some of the goodies that I have been tasting, testing and enjoying over the last month, First up are these fantastic macarons from Cake-Cetera. Just imagine a box full of 12 perfect macarons dropping through your letterbox, what a treat! Pauline was inspired to set up Cake-Cetera after losing her mum to cancer. While her mum was in hospital she was shocked to find that flowers were banned from the wards. She found that most people brought in cake instead and so Cake-Cetera was born in late 2011. Originally making and delivering cakes from home in Glasgow, Cake-cetera are delighted to now extend deliveries nationwide and are committed to bring you more amazing goodies direct to your door. The box of 12 French Macarons I received for review were in perfect condition when they arrived, there were two of each flavour: Vanilla, Pistachio, Lemon, Coffee, Raspberry and Chocolate. The chocolate macarons are to die for and the other flavours were pretty delicious too. This time last year we were just about to start Operation Dry Rot, when our house was ripped apart and cooked for a month with the microwave, a single ring and my slow cooker. 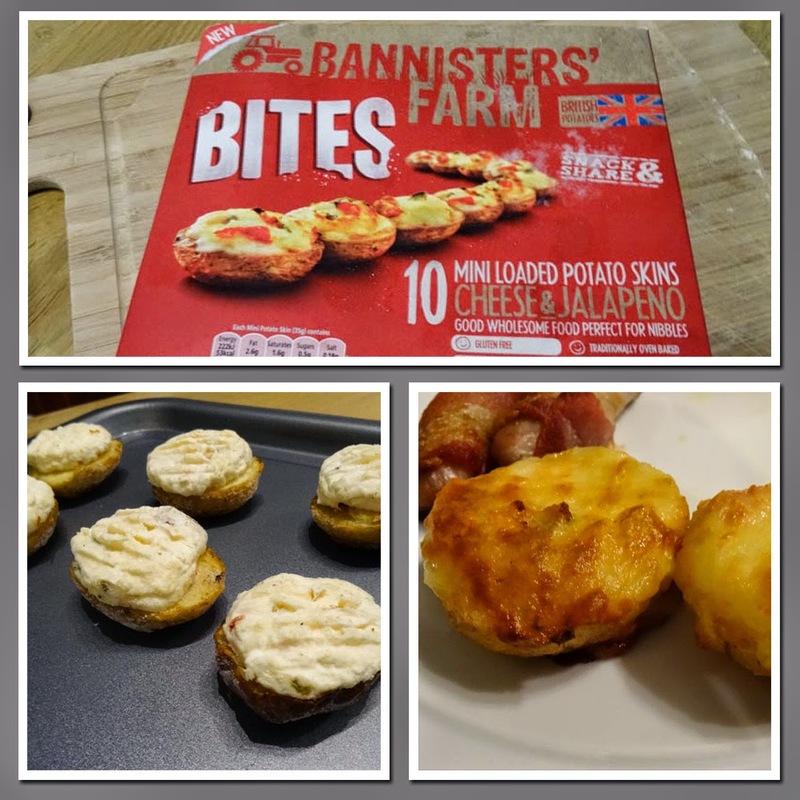 One of the things I discovered during this time was Bannisters' Farm frozen Baked Potatoes which I highly recommend when you are pushed for time. This time Bannisters' Farm have sent me some little mini nibbling potatoes, Bannisters' Farm Bites. They are stuffed with all kinds of tasty things. I loved the Cheese and Jalapeno Mini Loaded Potato Skins, they were really tasty, not too hot and went brilliantly with sausages. These little stuffed potatoes would also make a nice canape at a party, and would be ideal at a barbeque. Children are going to love them, particularly the less spicy Cheese and Smoked Bacon or Cheese and Onion. With food waste in the UK continuing to grow and consumers throwing away more fruit and vegetables than ever before, fresha®, the revolutionary new technology from Fresh n’ Smart®, is now offering households across the country a natural way of keeping groceries ‘fresha®’ for longer. As the average family wastes nearly £601 a month on food fresha® bags aim to help reduce food waste and keep supermarket bills down. Using a special blend of natural minerals, it slows down the natural ageing process and helps to prevent moisture and bacteria forming on fruit and vegetables keeping food fresher for 25% longer. Thefresha® bag slows the ripening process naturally and creates a breathable environment for your salad, broccoli, bananas and much more. I tried the fresha® bags with three different vegetables. I didn't do much with potatoes, no problems but they still started sprouting, mushrooms were not successful as they started to sweat, however I did manage to keep some spinach leaves in perfect condition for nearly two weeks. 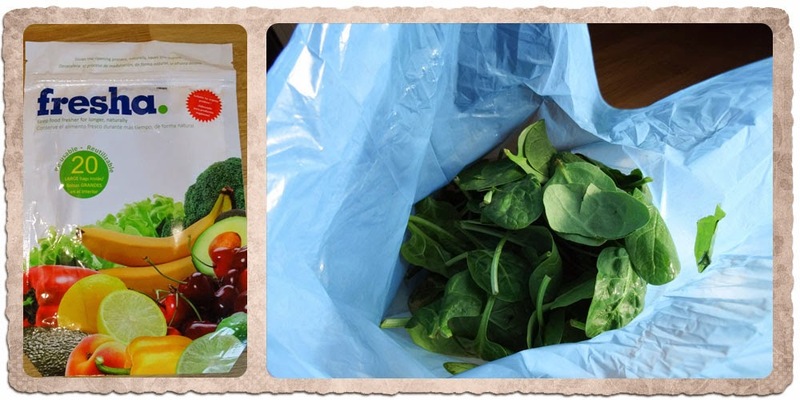 So I think you probably need to choose which fruit and veg you save in the Fresha bags. It would have been good to have a guide to which are most suitable. 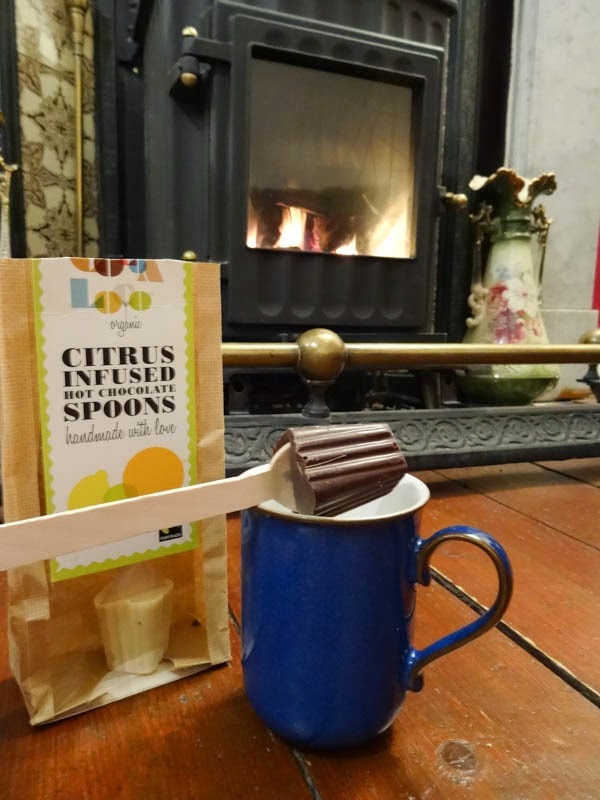 These Cocoa Loco Citrus Infused Hot Chocolate Spoons were a Christmas present and perfect for the cold weather we have been having. I rarely drink hot chocolate but this dark chocolate and lime flavour made with finest chocolate from the Dominican Republic could definitely convert me! Freekeh is the name for the roasting process (not the wheat) and is made from processed durum wheat, harvested whist still young, soft and green. Traditionally the stalks are roasted and smoked over open wood fires to preserve nutritional value and green taste before being hulled providing Freekeh with its distinctive smoky aroma. Freekeh has three times as much fibre as brown rice, is low carb, low Gi and will keep you feeling full for longer. It can be used instead of rice or couscous in Middle-Eastern recipes, salads, vegetarian burgers, risottos, pilaffs and paellas. 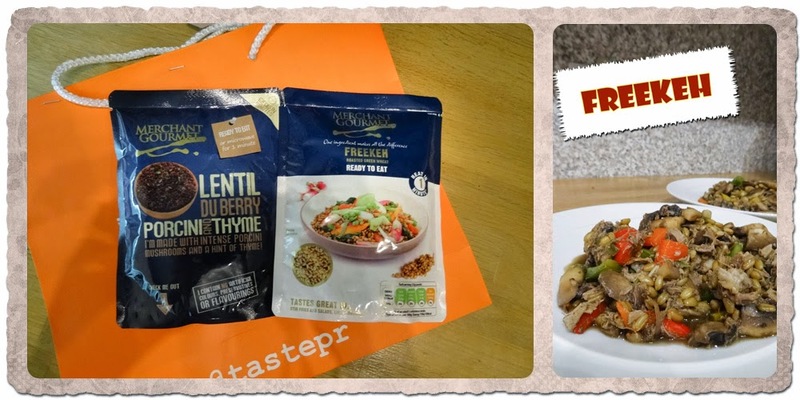 Merchant Gourmet have made Freekeh really accessible by producing it in a 'ready to eat' pouch along with some other store cupboard staples: Grans, Red Rice and Quinoa Mix, Ready to Eat Spelt and Lentil Du Berry Porcini and Thyme. I made a Freekeh pilaff with some peppers, mushrooms and left over lamb. It was very tasty and very quick to use, I didn't get any smoky taste and, to be honest, I thought it tasted, and had the texture of, the pot barley that we used to buy in wholefood shops in the 1970s and costs around £2.99 for 1kg, although obviously it is not ready to eat. I'd like to try the Freekeh in a salad as I can see how that would be really tasty and filling. 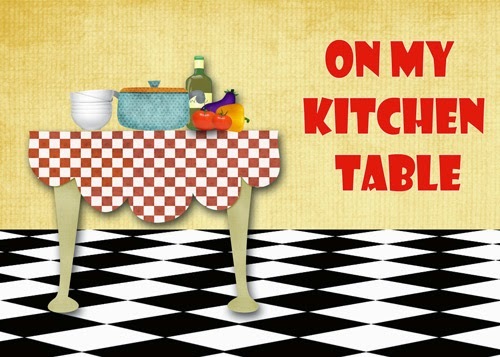 I hope you enjoyed reading about the products that I've had on my kitchen table this month, I was not paid for these reviews and all opinions are my own. Spoons. Infused with chocolate. Hello. Yes, they are so perfect in size and colour. The hot chocolate was really good. I was surprised that they weren't really very expensive Camilla. Yes, indeed Karen. Always nice to have some tasty treats drop through the letter box. I think those macarons have gotten everyone's attention, they look lovely and chewy! Ooh citrus infused spoons - sounds even better than the one I just tried. I have some freekah flour to try out, so interested to hear a bit about it.